Dan Le Batard is a boisterous member of the media from South Florida. He unabashedly talks South Florida sports above all and his career took off from mere regional prominence to national prominence thanks to LeBron James. 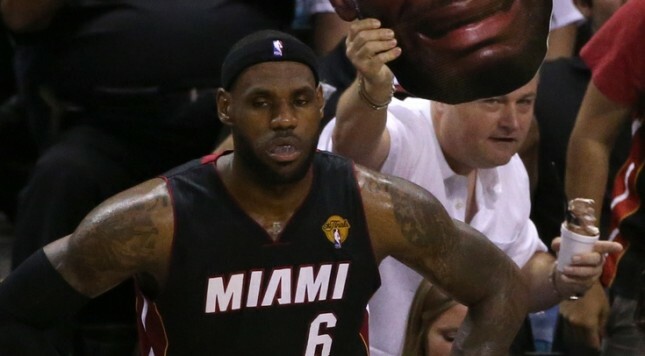 So when LeBron James left, you could imagine the shock-jock columnist would do something, well shocking. Very nice troll job, Dan Le Batard. Oh, by the way, you are suspended for two days for it. 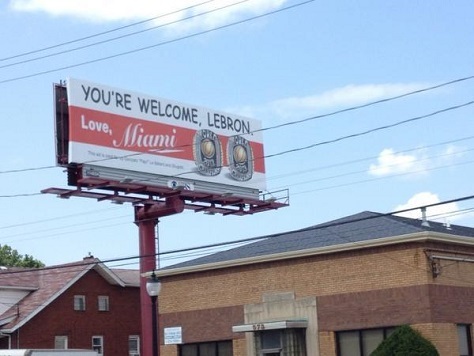 ESPN, beholden to the almighty LeBron James, suspended Le Batard for the above billboard stunt. They did so pretty quickly, as many note in contrast to Stephen A. Smith’s suspension for comments he made about Ray Rice and intimate partner violence. So Le Batard got an early weekend. I guess, this is some violation of journalism ethics. But this is all part of Le Batard’s shtick too. It is what made him successful and popular. I guess little ESPN does make sense. Then again, James might place an ad on ESPN telling Le Batard “You’re Welcome” for making Le Batard a national property.